A quick blog for a quick meal I think tonight. Just snow peas, sliced chunks of broccoli, and of course kimchi. Drizzled with sweet soy sauce. 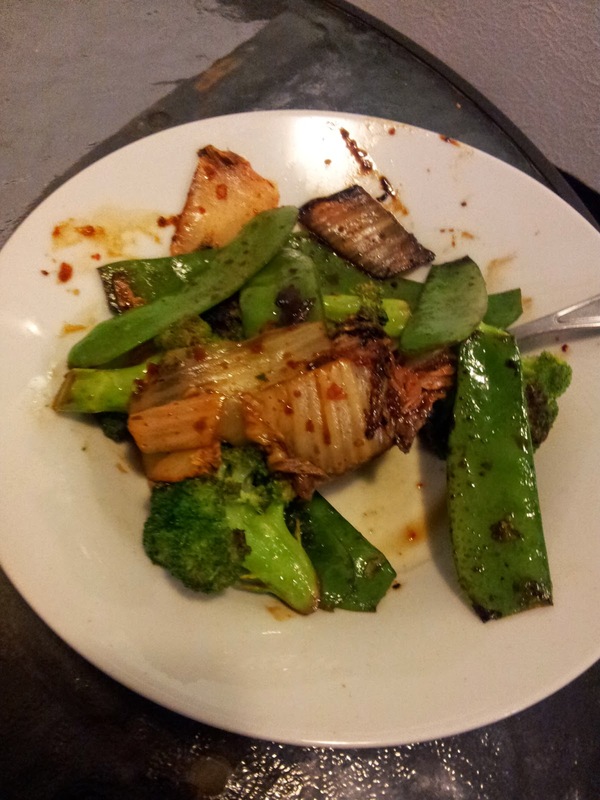 I fried the snow peas and broccoli first in a high heat to help keep them crisp while they cook, then added the kimchi. Finally I added the sweet soy sauce which actually helped the kimchi quite a bit - it gave it a sweet taste with a hint of that great fermented-chili taste I love about kimchi.